“You Get First Dibs” by Dr.J. Parents, your children are listening and watching! God gifted us with experience and spiritual wisdom! That’s a perfect and powerful combination for our children to “come to us more often.” I don’t give him any advice that doesn’t come from the Word. I put it on a hip palatable plate and serve it up. Do not let the enemy lie to you about your gift to relate to your child. Use the unadulterated truth (B I B L E) in relatable ways. Even if they depart from truth (B I B L E), they will come back to truth (B I B L E). I declare and decree the release of strongholds and barriers in our children’s lives in Jesus’s name. My son is my best friend. Dr.J. “Go to War” by Dr.J. When was the last time you went to war for your child? Oh I don’t mean a flesh war because the weapons of our warfare are not carnal. I mean spiritual war. Lay hands, pray aloud, speak confessions aloud (God’s word adding your child’s name), Bible study…Do your own words line up with the Word of God about your children? 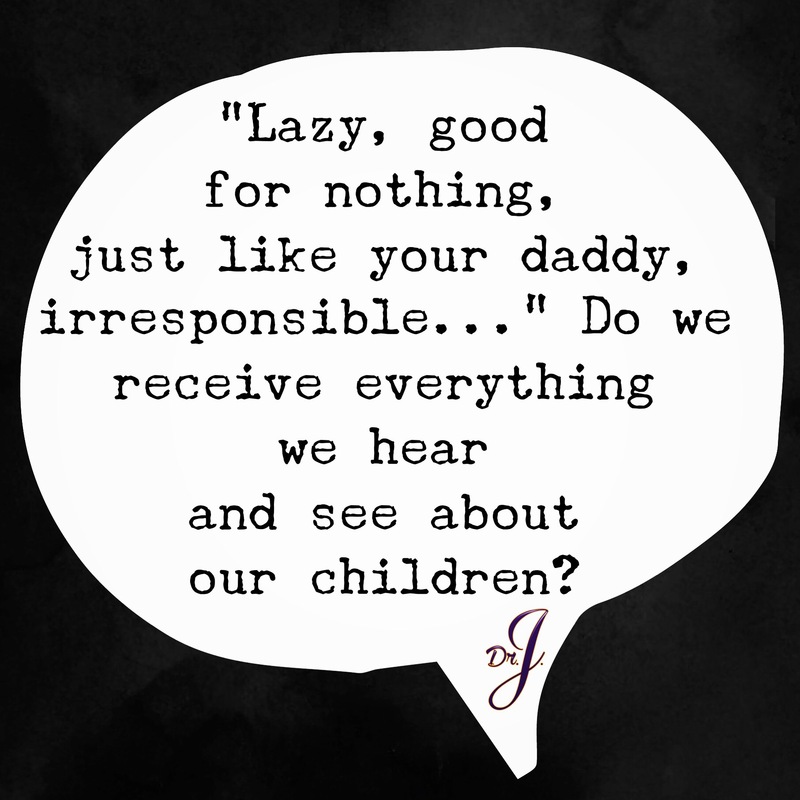 Do we receive everything we hear and see about our children? What the teachers say, doctors say, counselors say, psychiatrists say, people say, streets say, behaviors say, attitudes say, hairstyles say? What does God say about your child? Protect your ear gates and your child’s ear gates. We can afford to step up our war game for our children…we can’t afford not to. Satan is coming hard for them in the spiritual and natural realm. This may require us checking our own mouth gates. It’s time to go to war for our children. The war may begin internally with you. Dr.J.